The name Gokarna, means cow's ear (go=cow karna=ear) in Sanskrit and is based on Hindu mythology. 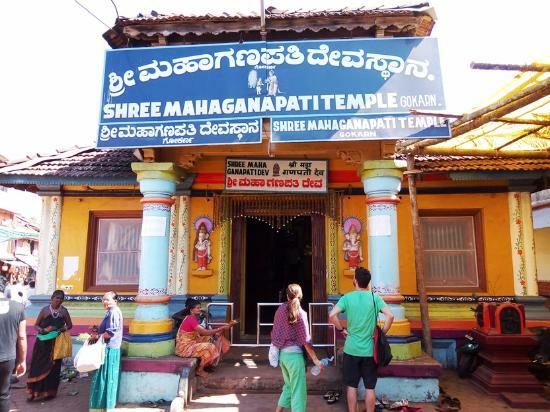 The town is popular among Hindu pilgrims as Gokarna has one of the few Shiva's holy temples with what is claimed to be original image of the god (a lingam). It is also the home of several religious celebrations, and some of them denote a good sense of dramaturgy. The most famous is the colorful "Shiva Ratri" festival at the end of february. If you are averse to massive crowd, unfamiliar with local culture, it is advisable to keep away during that time. 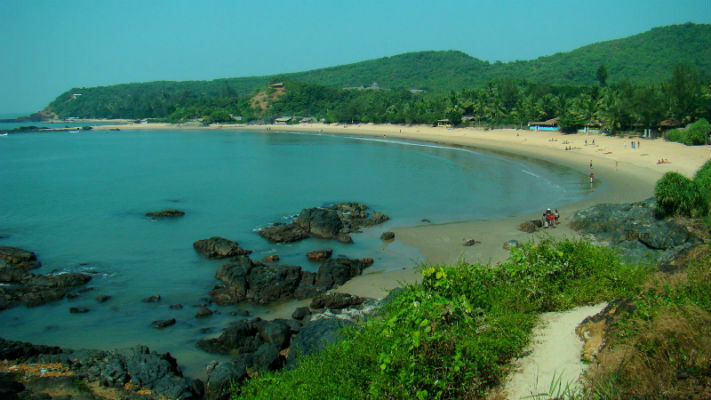 The five beaches are Gokarna beach, Kudle beach, Om beach, Half-moon beach and Paradise beach. 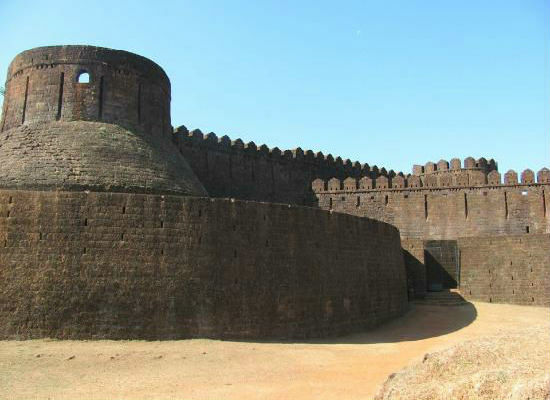 Gokarna is popular with pilgrims, while Kudlee and Om are popular with tourists. The Mahabaleshwar Temple is one of the largest in town which houses the Atmalinga. It was given to Ravana by Lord Shiva himself and is the main place of pilgrimage, at the western end towards the beach. 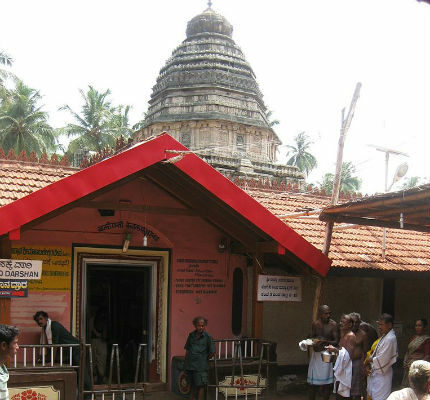 The Maha Ganapati Temple is just meters away from the Shiva Temple and made in honour of Lord Ganesha having played a hand in taking the Atma Linga from Ravana. It is common protocol to first visit the Ganapati Temple & then move to the Shiva Temple. Koti Tirtha is an artificial water tank used for ritual bathing and is regarded as very holy by the locals. 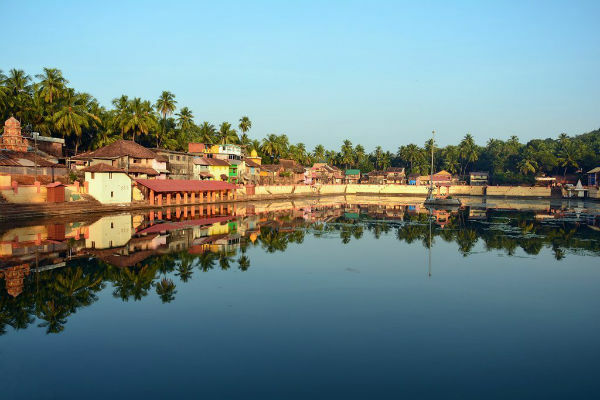 Koti Tirtha with its surroundings has an old world feel to it and makes an interesting trip. It is approachable by a short westward walk from Venkateshwara temple. Is a scooter ride away, and is massive. Even if you're not a history buff, you will be awed by it. "Visit during Shiva Ratri (February-March) festival"
The celebrations are a tremendous sight to watch as thousands of pilgrims descend on the town. 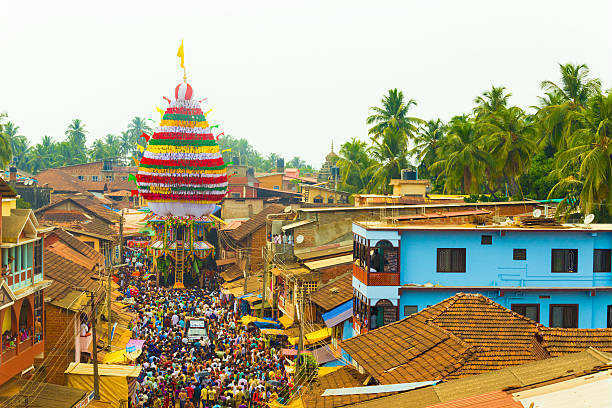 The town is decorated for four days and the temple deity is taken out on a procession. Don't fall for the dolphin sight seeing gimmick from the speed boat vendor. All you get is a 10 min. ride and a distant glimpse of something in the water that might be a dolphin..